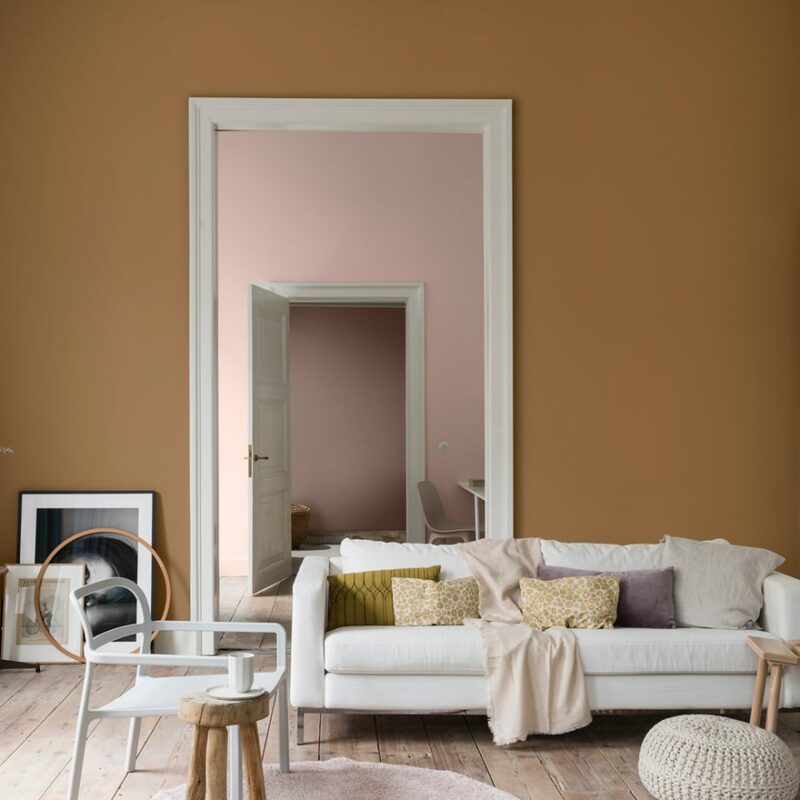 If you recall, this years (2018) Dulux colour of the year was Heartwood – a soft heather-like shade which had a cocooning and comfortable effect on our homes. Spiced honey is also a warming colour but an energising one. It would look good with the blush pinks and the dark neutrals that we have been dressing our rooms with recently. Teaming it up with white and off whites will give a contemporary feel. How the colour of the year is chosen? An international team of trend forecasters, architects and design experts come together and brainstorm having looked through our a heap of stats – our social media, and our economic trends and decide what we will want in the coming year. The press said “2018 was an unsettling and unpredictable time,” hence a warming cocooning colour was chosen for 2018 and now moving into 2019, they predict ” people have been given time to re-energise and deal with the sense of unpredictability with positive action, optimism and purpose.” so this warming Spiced Honey has been chosen with its inviting amber tones that will create a cosy atmosphere. So will you be using Spiced Honey in your decor next year? Based on past years, I can hazard I guess that most of us will say no!… but then by the end of the year our walls and furnishings have been updated with the new colour as we begin to start warming to it seeing it in our high street retailers! I have noticed that I have been drawn to lighter colours after loving the dark inky blues – so I know with me it’s just a matter of time! .. Now off to design a mood board for a lounge – perhaps incorporating the new Dulux Colour of the year 2019!